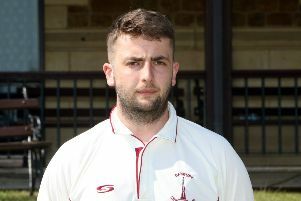 Spinner Luke Ryan produced an inspired spell of bowling as Banbury beat Burnham by 24 runs in the Home Counties Premier Cricket League. Banbury won a dramatic division one fixture at White Post Road where Ryan, despite carrying an injury, took centre stage in the latter stages to turn the game around. Electing to bat on a good wicket, Banbury recovered from losing Ollie Clarke early on to reach 61-2 before Craig Haupt departed. Banbury suffered a setback when captain Lloyd Sabin departed shortly afterwards but opener Hugo Darby 57 and Ed Phillips took the hosts on to 101-4. Phillips 51 and Richard West 55 pushed the score along to 176-5. But wickets then fell at regular intervals as Banbury were dismissed for 213 runs in the final over with Ryan adding a valuable 17 runs while Adnan Malik took 4-27. It was always going to be a tough ask to defend that score on a good batting track but Karl Penhale made the early breakthrough, dismissing Fahad Raja to rock the visitors in their reply. Burnham recovered to make steady progress as they reached 140-5 and, despite losing Aftab Khan 40, looked well on course to reach the target. But, having reached 186 with Raminder Singh 44 leading the way, they lost Malik 17 and that signalled a late collapse. Rizwan Nadeem and Karan Kumar 23 went in quick succession with only three more runs being added and when Muhammad Haroon was caught by Sabin off Ryan in the 44th over that was that. Ryan took 4-22 while West picked up 3-78 as Banbury’s determination in a hot day in the field paid off.